Pitstopboss puts you right on the pit wall, with access to live feed from the track and gives you the opportunity to alter race strategy as you see fit. 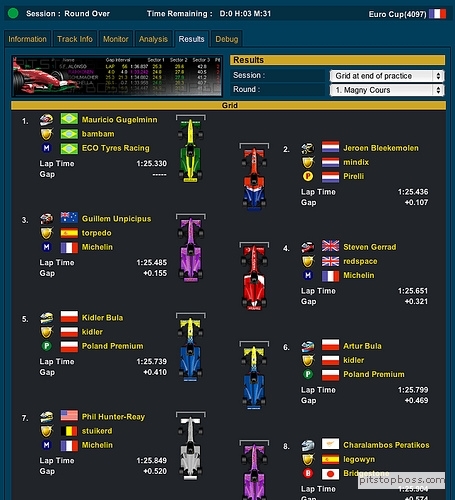 You have control over car development, setup & race day strategy as you pit your management skills against thousands of others online. 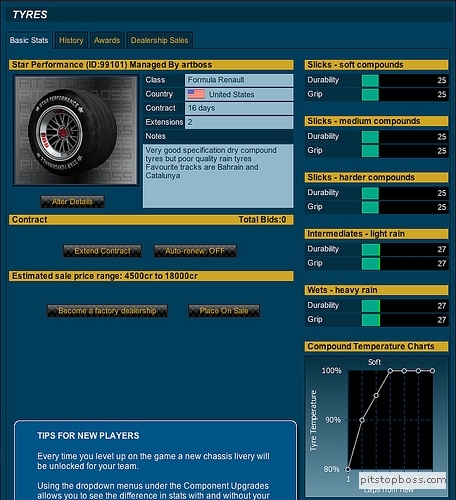 Race against other managers online in this free Formula one simulation game. 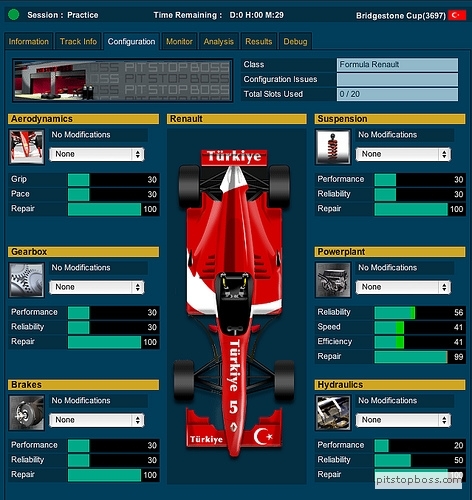 Combining instant fun and enjoyment for the formula one novice and the formula one veteran. Sign up for a beta test place now!